Learn how to do CPR – A person who knows cardiopulmonary resuscitation (CPR) is useful in many emergency situations where a person has no heartbeat or does not breathe like a heart attack or near drowning. Before conducting CPR, check a person’s breathing by observing the rise and fall of the chest, or holding up a mirror up to his mouth and nose. Next, check if his airways are clear — make sure that nothing is blocking his throat. Afterwards, place your hands on top of each other in the middle of the chest, and perform chest compressions of at least two inches deep. Perform rescue breaths in between, and at the same time, monitor the rise and fall of the chest. Continuously watch for breathing and a pulse while you’re at it. If you need a more detailed illustration of how CPR is performed, the University of Washington School of Medicine has a link available. Learn how to stop severe bleeding – In emergency cases, learning how to close the wound is very important. If possible, close the wound first. Then, elevate the wound above the heart and apply pressure with a clean compress until the ambulance or any other medical help arrives. Always keep in mind that wounds should be kept clear of infection. One most effective ways to clean wounds when you do not have anything else around is washing it with salt, although it may be painful. Learn how to treat wounds and prevent infection – One of the worst-case scenarios in first-aid treatment is when a wound becomes infected. To prevent that from happening, make sure to include gloves, alcohol, sterilized water, cotton balls, needles and thread, and bandages in your first-aid kit as these can be used to prevent infection when cleaning wounds. The website of the Department of Health for Western Australia provides further reading for treating wounds. Learn how to treat concussions – Symptoms of a concussion include headaches, dizziness, disorientation, vomiting, nausea, and migraine-like response to light or sound. Concussions are brain injuries, with severe cases include symptoms such as memory loss or unconsciousness. In addition, the pupils might respond differently to light, or their sizes are different. First-aid management for concussions requires lots of fluids, a healthy diet, and rest. 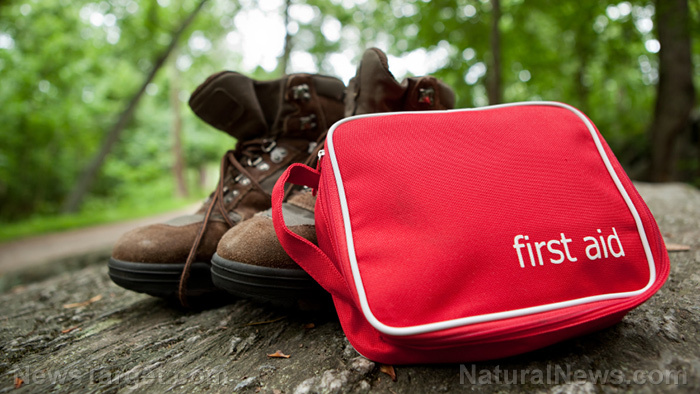 Learn more survival tips by visiting Preparedness.news today.